So I watch Seinfeld in the afternoons sometimes. It comes on at 3pm here in California, and it'll be on as I'm writing or folding laundry or whatever. Last week, I managed to catch an episode where George was driving. He owns a car. 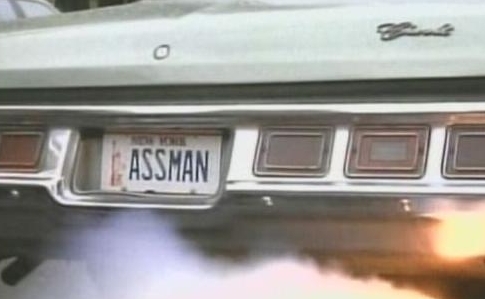 Kramer also owns a car. So does Jerry. 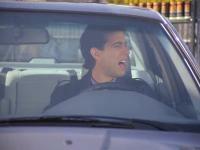 I don't believe that Elaine does, but the fact that 3/4 of the main characters on the show have cars is weird. And, I'm not sure why they have them. Jerry, maybe... I assume he probably had some stand-up gigs in Jersey or upstate or whatnot. But with the price of parking and insurance and the few times you'd use a car in NYC, I just don't see why they all have cars! And it's not just Seinfeld. On Friends, Monica has a car in the later seasons (her dad's Porsche), Phoebe has her grandmother's taxicab, and Ross has a sportscar in one episode (though I imagine he returned it, since we never hear of it again). The taxi comes in handy on several occasions, and Monica only has a car because it was a gift of sorts... so these are much more justified. But, on most shows, those who live in Manhattan are car-less, which I think is much more believable. Will and Grace don't have cars. Marshall used to, but now none of the How I Met Your Mother gang have cars. Paul and Jamie owned a parking spot but not a car. 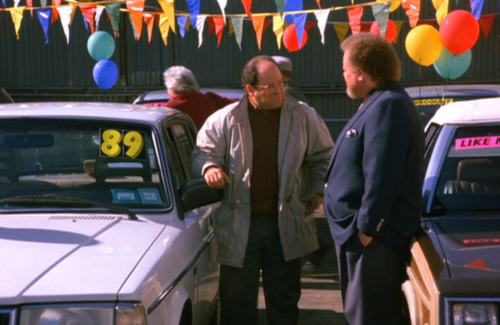 So it just seems weird to me that so many people on Seinfeld had cars. What do you think?